A refreshingly light, crisp beer. Ideal for Summer. Characterised by a fine head with a clear appearance and straw-like colour. An ideal accompaniment to full flavoured first courses and medium aged cheeses. With its moderate carbonation, light body and moderate bitterness, it is easy to drink and versatile to pair with food. In particular, the fourth variety of hops enhances the hoppy taste and strengthens the head. The raw materials are water, barley malt, glucose syrup and hops. 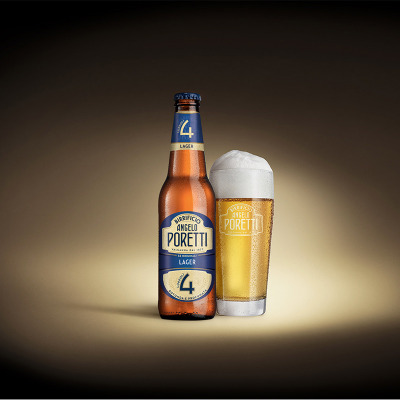 Poretti 4 Luppoli Originale has a medium alcohol volume (5.5% Vol); it should be served at a temperature of between 6-8 °C. 12 months It should be served at a temperature of between 6-8 °C. 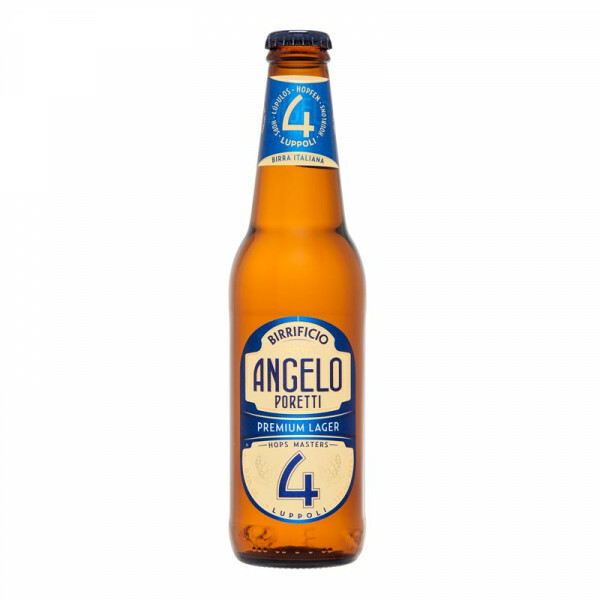 It is an ideal accompaniment to full-flavoured first courses and medium aged cheeses.